Affinity is a key parameter of an antibody and often defines its functions and efficacy. Antibodies generated with hybridoma technology usually have a relatively high affinity but this affinity may still not suffice the need of a therapeutic antibody. 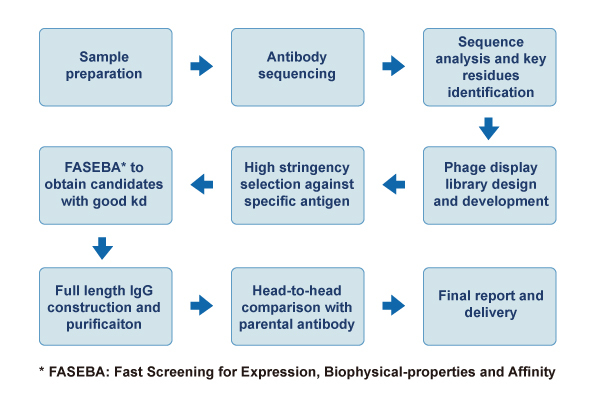 GenScript's Antibody Affinity Maturation Service (Cat. No. : SC1574) can increase the affinity to an ideal level.